The 19”/2 Computer Atom CS411 is a rugged computer with the processing power of an Intel Atom D2550 1.86GHz processor in a compact, small 19”/2 form factor. The 19”/2 Computer Atom CS411 is a rugged computer with the processing power of an Intel Atom D2550 1.86GHz processor in a compact, small 19”/2 form factor. The CS411 is optimized for size, weight and power consideration, with low power consumption and a weight of 3 kg. 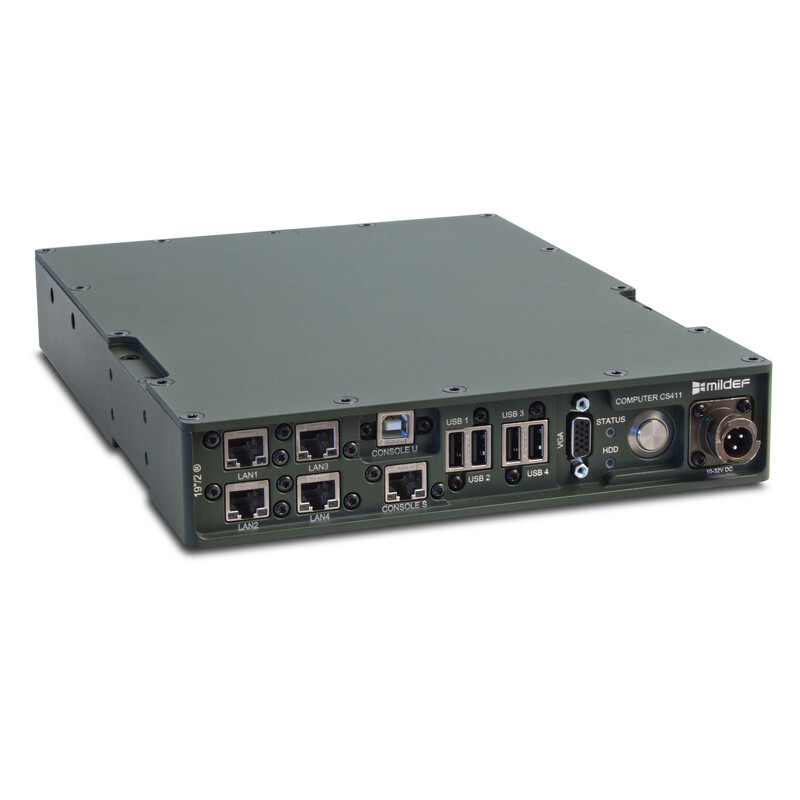 Designed for rugged military applications in tough environments. Guaranteed performance Our products always come with a lifetime support to ensure your equipment maintains peak performance for many missions to come. We also serve units and stock spare parts for 5 years end-of-life.